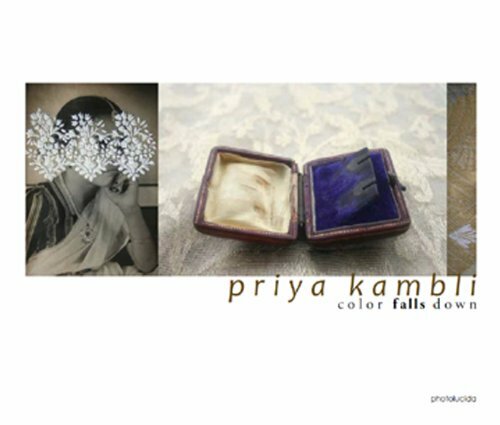 Priya Kambli’s works introduce us to an unfamiliar language. These elegant statements force us to pause, to learn and utilize at least one new mode of translation. The reading requires effort; there are several distances to cross to unveil their full meanings. She applies her translation skills to images that derive meaning from cultural, inter-generational, and trans-global sources. She is making viewers — not from her family, not Indian, not first-generation immigrant — confront a set of symbols and relationships that do not fully reveal themselves on first encounter. The success of her work, however, lies in its eloquent capacity for fascination. It employs many devices; pattern, texture, screens, color, and mysterious deletions and exclusions weave a tale of vulnerability, transience, inheritance, and transformation. And the photograph as an evanescent container of memory has a vital role. Kambli discovers her heritage in herself and her surroundings, employing a photographic strategy of longing as a means of translation. Her longing is both retrospective and anticipatory — longing for a future in which the past makes sense, in which a fragmented sense of self is made whole.